The New Jersey Campground Owners Association offers complete information on camping in New Jersey, including the Delaware River Region. The State of New Jersey Travel Office describes the highlights of the various regions of the State, including the Delaware River Region. The site includes addresses and phone numbers of historical, cultural, recreational, sports, shopping, lodging, winery, camping, and state park attractions in the region. They also list municipalities and counties in the region that sport their own home pages. Cowtown is heralded as the “Cow Capital of the First Frontier”. 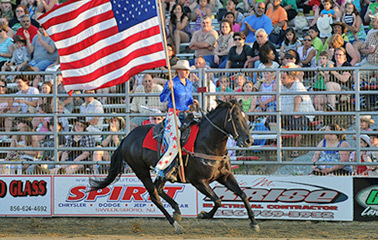 Located just 5 miles from the Four Seasons Campground, the Cowtown Rodeo is held every Saturday night from Memorial Day through Labor Day and features professional rodeo rides and events at their best. One of the best rodeos in the world. Also, Cowtown offers their giant flea market and marketplace every Tuesday and Saturday year-round. The New Jersey State Aquarium is located along the waterfront of Camden, NJ within 50 minutes (about 40 miles) of Four Seasons Campground. Enjoy the Ocean Base Atlantic adventure as you view this underwater world, filled with all types of marine life and fish as well as the natural settings of the ocean floor. Longwood Gardens is a majestic area of over 1000 acres of gardens, woodlands, and meadows that is open every day of the year. Conservatories, illuminated fountains, 11,000 different kinds of plants greet the visitors for a great time of viewing gardening at its best. Located about 40 miles from the campground, it is a great place to spend a late summer day into the evening to see and hear the Festival of Fountains show. Wheaton Village showcases the history of glassmaking in America. Glassmaking was started in Southern New Jersey and this unique village, located about 30 miles from the Four Seasons Campground, offers visitors a unique experience in seeing glassblowers at work in the Wheaton Glass Factory. There is a museum of American Glass, many shops of regional crafts and trades, and many unique specialty shops. Enjoy a scenic train ride on a half scale train through the Jersey Pinelands. 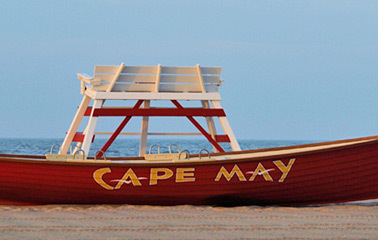 Cape May is famed for its great Victorian homes, shops and restaurants. Located about 90 minutes from the campground, one can tour the historic district of this grand old city and enjoy the seacoast environment. There are the Cape May Lighthouse museum and Physick estate for touring, and if you want to go on another great adventure, take the Cape May-Lewes Ferry, leaving your car behind in Cape May to visit more great shops and restaurants in Lewes, or take your vehicle and visit Lewes, then drive along the Delaware coast back to Four Seasons Campground. Fort Mott and Finn’s Point Lighthouse is located about 16 miles from the campground in Salem, near Pennsville. Tour the old coastal defense gun site as well as this old, historic lighthouse. Decoy Museum is located on the waterfront in Havre de Grace, Maryland. Visit historic Havre de Grace, MD for the decoy museum, crafters and their shops that sell those wonderful hand carved decoys, antique and craft shops and some great restaurants. Right along the upper reaches of the Chesapeake Bay where the Susquehanna River meets the bay, a great place to just relax and enjoy a day. 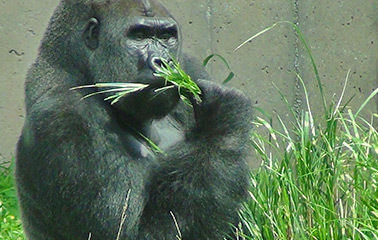 The Philadelphia Zoo is the oldest zoo in the country and is a great day trip and easy to reach from the campground where young and old alike can see a tremendous variety of animals, birds, and reptiles in a pleasant surrounding. Located about 50 minutes from the campground. Cohanzick (Bridgeton) Zoo is a small zoo about 15 miles from the campground which provides a nice experience for the family to enjoy. This zoo is in a nice quiet area of Bridgeton. Cape May Park and Zoo is located about 50 miles from the campground, in Cape May Court House. It is a pleasant, smaller scale zoo that is great for kids. Brandywine Zoo is located in Wilmington, Delaware. It is Delaware’s only zoo and is located just a few blocks from the center of Wilmington. About 25 miles from the campground. Wilmington and Western Railroad is on Railroad Avenue in Wilmington, Delaware. Enjoy a ride on this Natural Register of Historic Places railroad through the Red Clay Valley South of Wilmington. Located about 25 miles from the campground, they have all sorts of feature excursions as well as daily timetables. Strasburg Railroad is in Strasburg, in beautiful Lancaster County of Pennsylvania. This train ride provides a great tour through the Amish country where you can always catch a glimpse of the Amish horses and buggies going by, as well as the rolling farmlands of the Lancaster area. Located about 1 1/2 hours from the campground, the railroad center is just across the road from the Pennsylvania Railroad Museum, which is also a great place for train enthusiasts. And while you are enjoying all of this, stop in at the Toy Train Collectors Museum, one of the best worldwide, featuring many different operating displays of toy trains of years past. There is also the Choo-Choo Barn in the area of Strasburg Railroad which also has a great model train operating display. Antique County of Mullica Hill is located just 9 miles north of the Four Seasons Campground. This historic village offers visitors many unique shops in a surrounding of beautifully landscaped grounds. A great place to look for that special gift for someone. Dutch Neck Village is a quaint country village located about 20 miles south of the Four Seasons Campground. The village offers visitors many unique shops in a surrounding a beautifully landscaped grounds. A great place to look for that special gift for someone. Outlet Stores can be found in the Lancaster area, in Perryville, MD (about 45 minutes from the campground), and at the Franklin Mills, near Philadelphia. Shopping Centers are abundant within a 45 mile radius of Four Seasons Campground. Choose from the Deptford Mall (in Deptford, NJ), the Cherry Hill Mall (in Cherry Hill, NJ). the Christiana Mall (in DE) and Price’s Corner (in DE). Canoeing - There are several places within 30 miles or less where you can enjoy canoeing on a small stream, canoeing on rivers, as well as tubing. Fishing - In addition to fishing in the lake at the Four Seasons Campground, there is a good fishing lake about 2 miles from the campground. One could also go to the Delaware Bay or River for salt water fishing. Fishing licenses are required for fresh water fishing if you are over 14 years of age. Horseback Riding - There are a couple of stables in the area where horseback riding is available. Golf - There are four major golf courses open to the public within 30 minutes or less of the campground. These include the new Town and Country Golf Course, in Woodstown (only 4 miles away). The others are Wild Oaks (near Quinton, NJ), Centerton (in Centerton, NJ), and Beckett (near Swedesboro, NJ). There are also several driving ranges in the area as well as a miniature golf course located about 15 miles away. Baseball - One can either catch the Philadelphia Phillies at a home game or journey to Baltimore (about 90 miles) to catch the Orioles. If you enjoy minor league baseball, the Wilmington Blue Rocks is the place to go. Easy to reach just South of Wilmington, you can get there in about 25 minutes. The Blue Rocks stadium is a terrific family outing in a friendly stadium at low cost. Philadelphia - Located about 45 minutes from the campground is the birthplace of our Nation with all the historical areas that are a must for all to see. The Liberty Bell, Independence Hall, and Betsy Ross’s house are but a few of those places we all need to visit. Also tour the Franklin Mint while you are there. Also in Philadelphia, one can find the Museum of Art, the Academy of Natural Sciences, and the Franklin Institute. Great places to take the family. Visit the new Philadelphia Business & City Guide for further information. Wilmington - Located in the greater Wilmington area are two museums and estates that were part of the original E.I. DuPont family and industry. Visit the Hagley Museum along the Brandywine River to see the first DuPont black powder works and then see the first DuPont home, Eleutherian Mills, which is located there with the Hagley Museum. Then a few miles north is the Winterthur Museum and Gardens, the former home of Henry DuPont. Located on 200 acres of display gardens, this nine story house displays over 70,000 American decorative art objects. All of these are located within 30 miles of the campground. New Castle, Delaware - Delaware’s first capital is located about 18 miles from the campground. A chance to step back in time and walk the cobblestone streets of this charming and beautiful colonial town on the riverfront. Some nice antique shops and a lovely inn are there for visitors to enjoy. Lancaster, Pennsylvania - The home of the Amish and now those great shopping outlet stores. About 1 1/2 hours from here, a delightful day for shops, amusement, food, and sightseeing. Atlantic City - For those who want to enjoy the glitter of casinos and their restaurants, the campground is located about 50 miles from Atlantic City and the Jersey Beaches.